Fish & Pita, Mark Hewitt, April 2012. Pastel 290W x 210H. 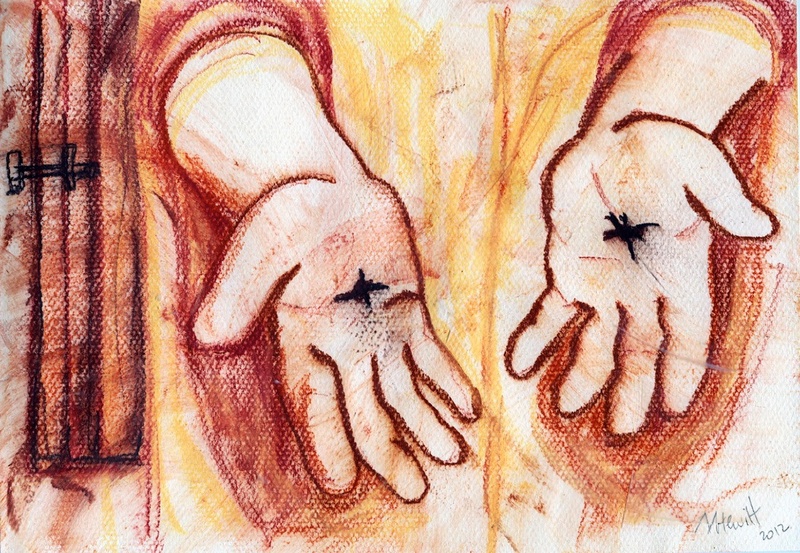 The post resurrection story of Luke 24:41,42. Where Jesus appears to the disciples, shows his hands & feet then eats broiled (chargrilled) fish. This brings an intimacy & the cultural obligations of hospitality to the narrative. 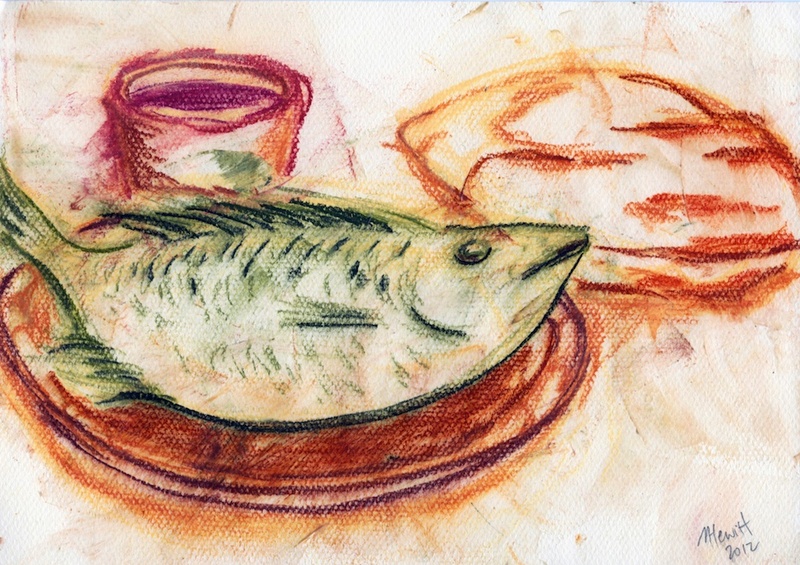 The illustration has Tilapia, the fresh water fish of the sea of Galillee & pita bread with wine. 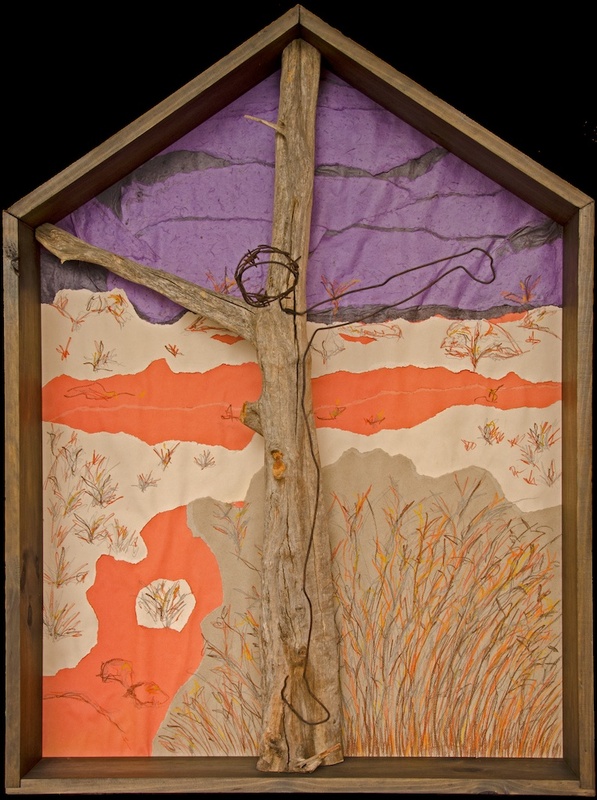 This entry was posted in Easter, Mixed Media, Visual Art, Year B and tagged Easter, Jesus on April 19, 2012 by Mark.